Mineral are inorganic elements that are required by the body and perform various functions within it. They serve as catalysts for many important biological reactions. Calcium and Magnesium support healthy bones and teeth. Magnesium supports cellular energy production. Many minerals are required for the production of hormones, blood and enzymes which serve life-sustaining functions. Some, like Zinc, support a healthy immune system. 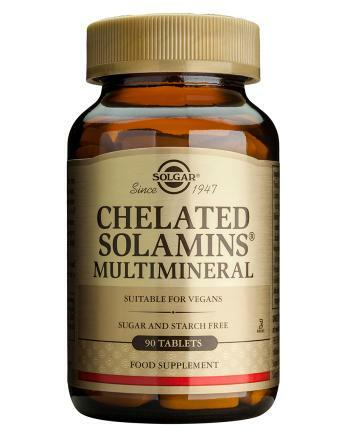 The patented chelated minerals, along with other minerals in this formula, work together to support overall health and well-being. WARNING: Accidental overdose of iron-containing products is a leading cause of fatal poisoning in children under 6. Keep this product out of reach of children. In case of accidental overdose, call a doctor.